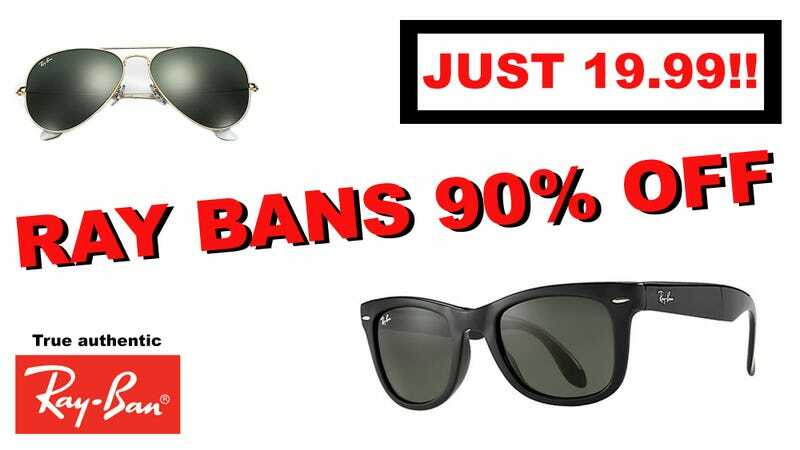 Ray-Ban won top honors recently at the Cannes Lions advertising festival, receiving an award for its groundbreaking campaign “Ray-Ban 90% Off True Authentic Ray-Bans Just $19.99,” which took social media by storm with ads for heavily discounted designer sunglasses. To attract customers, Ray-Ban posted sepia-toned ads on Facebook and Instagram, informing users that “Ray-Ban official sunglasses priced at large discount one day only.” It’s a message that resonated with consumers, who were eager to get usually expensive Ray-Bans for a fraction of the price. Sales skyrocketed so dramatically that the Ray-Ban website was overloaded with traffic, forcing the company to redirect shoppers to Chinese websites that Ray-Ban hired to help collect all the credit card numbers people were submitting. As a sign of the Ray-Ban campaign’s effectiveness, many people who clicked on one of the ads were so pleased with the sale that they then went on to share the offer with all of their Facebook friends and email contacts. Some even changed their profile picture to that of a desaturated photo of Ray-Ban glasses to show that they were happy customers. Ray-Ban definitely deserves its Cannes Lions award for making so many people aware of this incredible limited-time bargain for classic sunglasses in the most popular styles. Here’s hoping other brands copy Ray-Ban’s viral marketing success story and usher in a new golden age of advertising!